Nothing makes my ears warmer than a Big Rube feature. I've professed my (man)love for Rube before, and this track from Nappy Roots put a huge smile on my face the very second that his baritone came on. Like a wise uncle, Big Rube always seems to impart timely advice and this time is no different. Sounding right at home on the Organized Noise beat, Rube starts off the new Nappy Roots album "Nappy Dot Org" on the right foot. 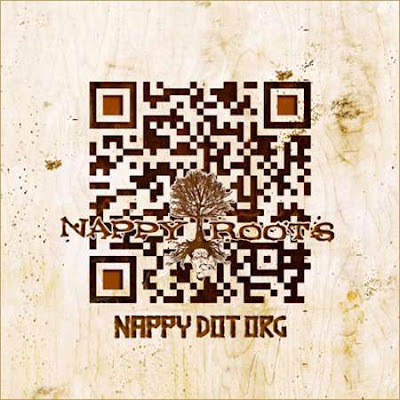 Completely produced by the previously mentioned legendary Southern producers, Nappy Roots show once again that their lasting presence on the scene is justified. While they haven't hit the same commercial success that they had with their debut Watermelon, Chicken & Grits, the group's southern fried take on life is still a pleasure to listen to, especially in a game where the Southern conscious rapper has seemingly disappeared in the last few years. Check it out for the Big Rube, stay for the Nappy Roots. Enjoy.